It's true. 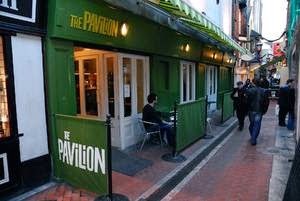 The Pavilion, one of Cork's best and most beloved venues in recent times, is closed. I saw all the posts on Facebook. I received the texts and tweets. I even winced past the shutters on Carey's Lane but the cold truth didn't truly touch the skin until I sat down late last night to compile the weekly Cork gig guide to find a gaping hole in the listings. No midweek sessions. 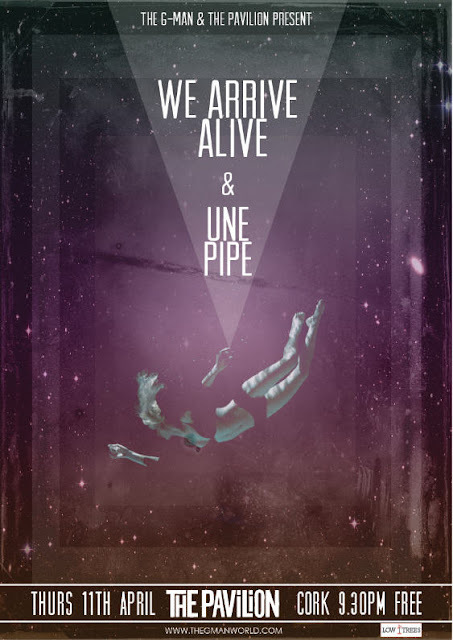 No Thursday downstairs bar gig to showcase some of Ireland's best and brightest talents. No international acts to look forward to in the future. And to compound this horrible state of being, I had to then completely remove some great upcoming shows such as Samaris (since moved to Crane Lane), Amen Dunes (TBC) which had only just been announced and a Girl Band/Grave Lanterns Halloween double-header. Never has the use of the delete button felt so cruel. Instead of focusing on the negative I'd like to get straight to it and thank everyone involved with the venue for allowing so many of us the chance to excitedly observe the development of local talents from embryo to embraced (The Altered Hours, The Great Balloon Race, Saint Yorda, Elastic Sleep, The Shaker Hymn, John Blek & The Rats, Trumpets of Jericho, The Vincent(s) to name but a few). I'd like to thank The Pavilion for granting so many of us the wide eyed wonder that welcomed such globally renowned artists as Peter Broderick, Evan Dando, Kurt Vile,so Clay Your Hands Say Yeah, Yann Tiersen and Franz Ferdinand. The Pavilion can proudly say that it was responsible for some of the best shows seen in Cork during her oh-too-brief stay on Carey's Lane. Hell, New York's Hypnotic Brass Ensemble seemed so enamoured with the place they teetered on the edge of taking up residency at one stage. I'd like to thank The Pavilion and all its staff for trying to do things the right way, from how it treated its patrons with a cheeky smile and wink to how the bookers so graciously looked after the bands that played there. I'd like to thank The Pavilion and all its staff for providing the perfect play-place for those who didn't really consider themselves "adults" just yet and allowed them to dance and sweat and giggle until the early hours. I'd like to thank The Pavilion and all its staff for "getting it". Not many venues do. Anyone involved in putting on or playing a gig will know what I mean. I'd like to thank The Pavilion and all its staff for providing me and many others with the opportunity to meet some of the loveliest people in the city, some of which I now consider good friends. I'd like to thank The Pavilion and all its staff...for everything. Best of luck with all the incredible new adventures coming your way. Sweet dreams 13 Carey's Lane. Catch you in the next cartoon.